Marquee event celebrates 30th anniversary with new opportunities and more local companies. Culinary creativity and inspiring cross-merchandising are the keys to selling to today’s outdoor cooking enthusiasts. An interview with Innovation Expert Dana McCauley. The industry speaks out about Canada’s new food guide. Top organic benchmarks, challenges and opportunities define organic market. The cold beverage category in 2019 is more voluminous – and potentially more lucrative than before. The cold reality of ice cream. 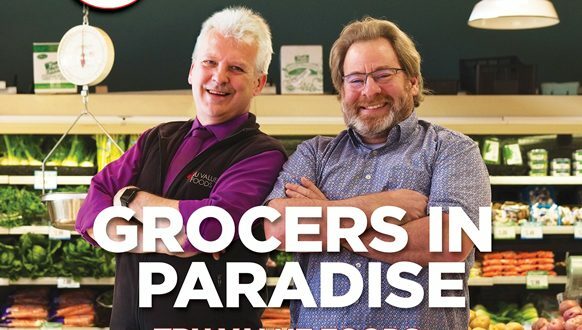 Local foods expand options for grocery retailers in Saskatchewan. Traditional teas hold steady while herbals and new, diverse tastes grow in popularity. 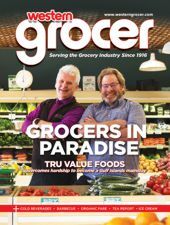 Tru Value Foods overcomes hardship to become a Gulf Islands mainstay.